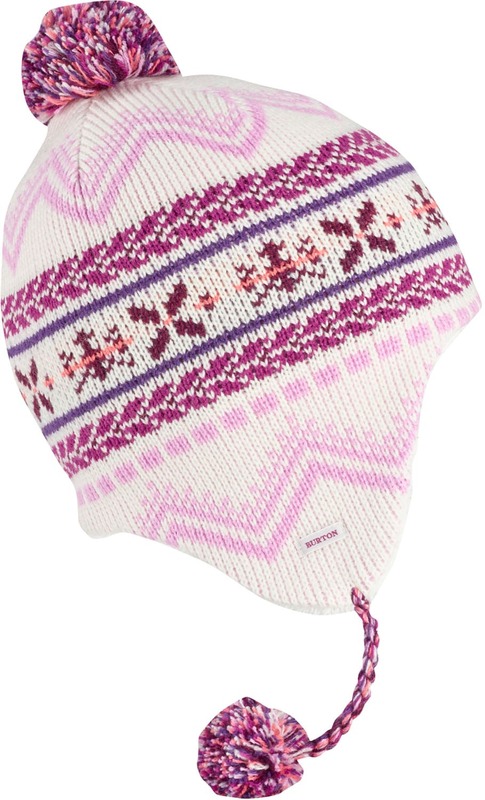 Keep her warm and stylish this winter with the Burton Cocoa Earflap Beanie. 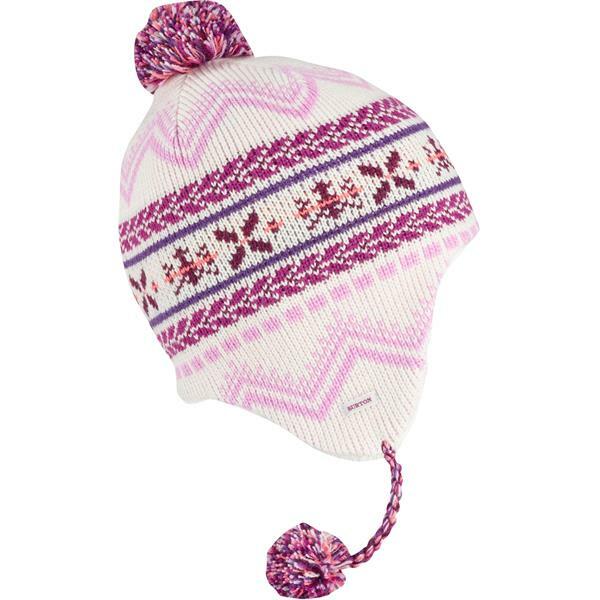 This girl's beanie features multicolor pom-poms and tassels for some added flair. Made with durable and soft acrylic, this beanie will keep her warm on the coldest winter days, whether she's hanging out at the ski lodge or waiting at the bus stop.